So who else has bought a firearm, poured countless dollars into custom upgrades to create a truly fine gun and then had a friend come to them with an off the shelf firearm that made you go...."Oh My!"? Those "Ah Ha" moments are few and far between but I can tell you that the Sig Sauer model M11-A1 Flat Dark Earth 9mm handgun had exactly that effect on me. 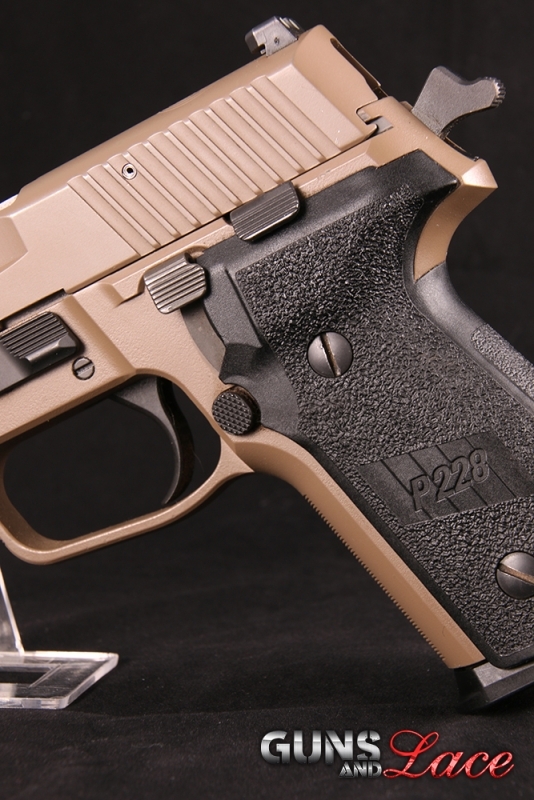 This carry gun is well balanced, has excellent night sights, is beautiful to look at, ergonomic and shoots like a dream. 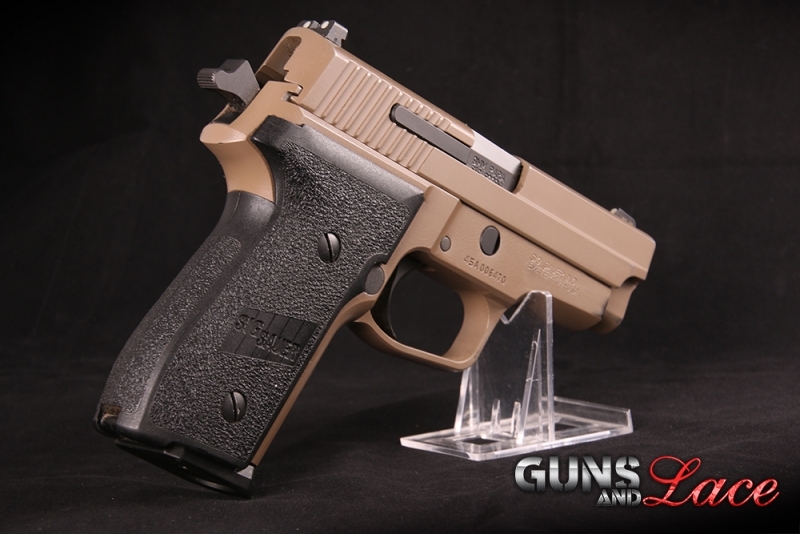 So why you might ask does this Sig Sauer M11- A1 act and shoot like a pedigreed platform with decades of development behind it? Well, because it does, in fact it has more pedigree than a Paris Hilton Poodle! 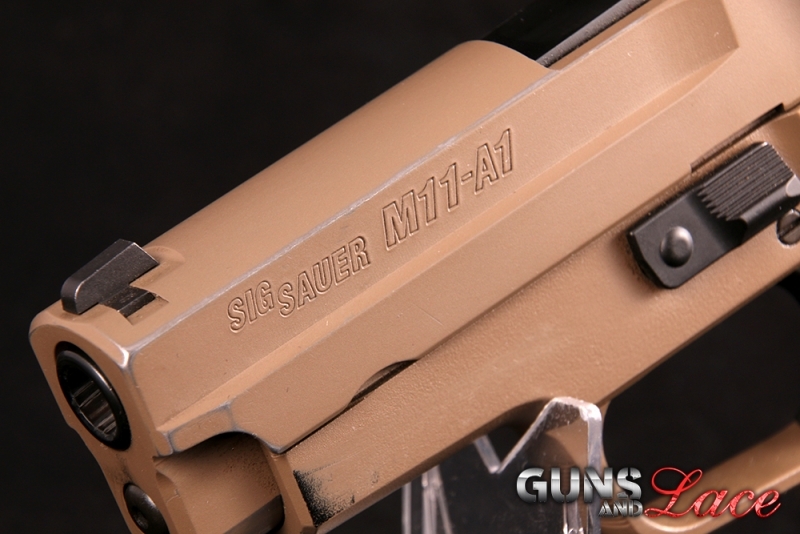 The Sig Sauer M11-A1 is the civilian version of its military M11. The military model has been in military service for decades and because it is easy to conceal is still in use by the investigative departments of several US military branches today. Given its soft shooting, classic 9mm low recoil and accuracy the M11-A1 is a handgun that makes a better shooter out of just about everyone who uses one. With stippled polymer grip, an 11 pound Single Action and 4.5 pound short reset trigger, internal safeties and a fine fit and finish this 9mm comes in head and shoulders above much of its competition. Even though it has no exterior safety, it has a decocker and several internal safeties to keep you safe and ensure that it will not fire if dropped. "Happiness is a warm gun, yes it is..." , Can you tell what band those lyrics came out of? While you are pondering what great rock legends sang these words, you might agree with me that they almost got it right. Around here, we believe that true happiness is a beautiful Guns and Lace girl who knows how to shoot! Please meet Kat Pauline, a warm, personable and very beautiful young lady, who understands just how important it is to be proficient, well trained and able to defend herself with a firearm. Kat lives in Oregon in a small country town and loves the outdoors and nature. You will either find her at work caring for man's (and woman's best) friend or out on the trail hiking, camping, shooting or enjoying nature while doing a bit of writing in her journal. Miss November, by her own admission, is an adventurer and loves to travel. "Me, I took the road less traveled by and that has made all the difference". If you make sure that road is a hiking trail, and that Miss Pauline can see the stars at night, who knows what beautiful lyrics could be written? I wonder if she is still single? One attractive woman. Good choice in weaponry.